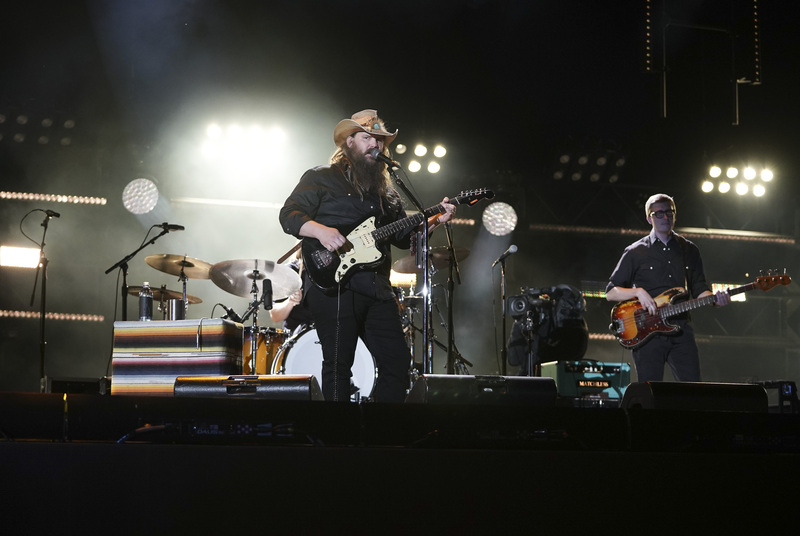 Chris Stapleton tops the list of nominees for The 52nd Annual CMA Awards with five nominations, including Entertainer of the Year and Album of the Year for From A Room: Volume 2. Producer and musician Dann Huff receives four nominations, the second most nominations this year, while nine artists garner three each - Jason Aldean, Dierks Bentley, Dan + Shay, Florida Georgia Line, Chris Janson, Miranda Lambert, Midland, Thomas Rhett and Keith Urban. The 2018 CMA Awards nominations were announced on Good Morning America with Luke Bryan, Dan + Shay and Sugarland live from Luke's 32 Bridge Food + Drink, Bryan's new restaurant and bar in downtown Nashville. The 52nd Annual CMA Awards will be hosted by Brad Paisley and Carrie Underwood and broadcast from Bridgestone Arena in Nashville, LIVE WEDNESDAY, NOVEMBER 14 at 8|7c on ABC. See a list of nominees below, or head over to the official CMA Awards site for more info. The CMA Awards has been added to My List.